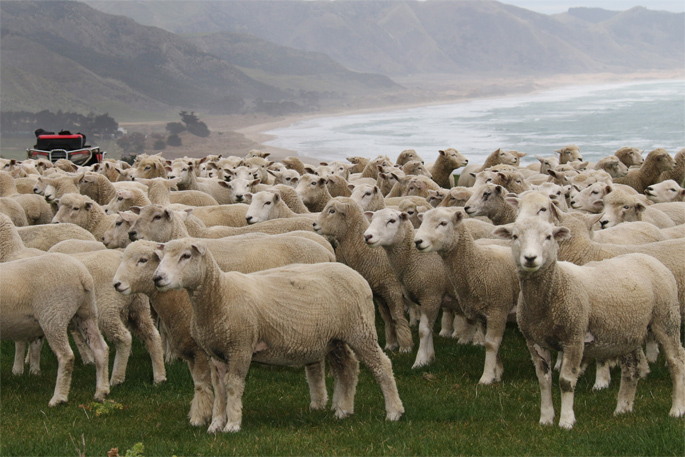 Hence Boehringer Ingelheim Animal Health NZ technical veterinarian Richard Sides is urging farmers to look harder at what may be holding their stock’s performance back, and says the answer may be easier to find than they first thought. Typically in NZ selenium and cobalt can be the two most common deficient minerals, thanks to this country’s relatively young, ash-type soils predominating. Both trace elements play a critical role in animal health and production performance, says Richard. Selenium is responsible for maintaining a healthy immune system, fertility and muscular development – about 30 per cent of NZ’s grassland area provides insufficient selenium levels. Cobalt is critical for the synthesis of vitamin B12, important for energy and protein metabolism, and therefore healthy growth rates. A deficiency in cobalt is typified by poor growth rates, a loss of appetite and higher death rates in lambs. The Volcanic Plateau has the greatest natural deficiencies in these vital trace elements, and the “bush sickness” that afflicted sheep in the first half of the 20th Century prompted mass plantings of pine trees as an option to pastoral farming. While this area is famed for deficiency, many other pockets of NZ are almost as low. Richard says testing for deficiencies can be as simple as taking blood tests to detect levels of both minerals. Or, going one step further, liver biopsy from several live animals can provide an even more accurate indicator of selenium levels. Richard says outcomes can be surprising from the relatively simple tests. “We’ve had cases where one year the copper levels were low and selenium was high, and the following year they’d completely reversed – had my client assumed this year was the same as last he ‘d have not only wasted money on copper treatment, but missed out with lower production thanks to the compromised selenium levels. Conducting blood/liver tests with faecal egg counts to get a handle on levels of worm infections will integrate the two big challenges of worms and minerals, ensuring one is working with the other – rather than expecting one to deal with symptoms of the other. Richard says the relatively low information cost that goes with acquiring blood tests is opposed to high costs of trying to boost lowered stock productivity through crops and supplements.